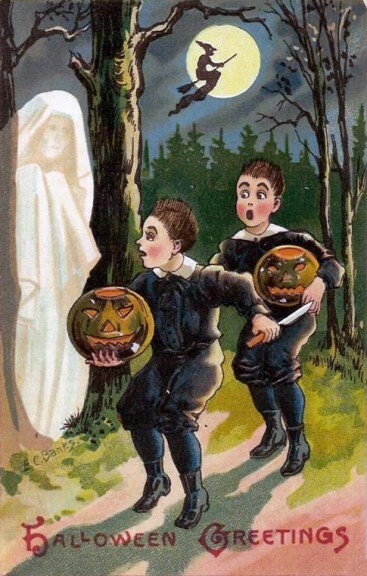 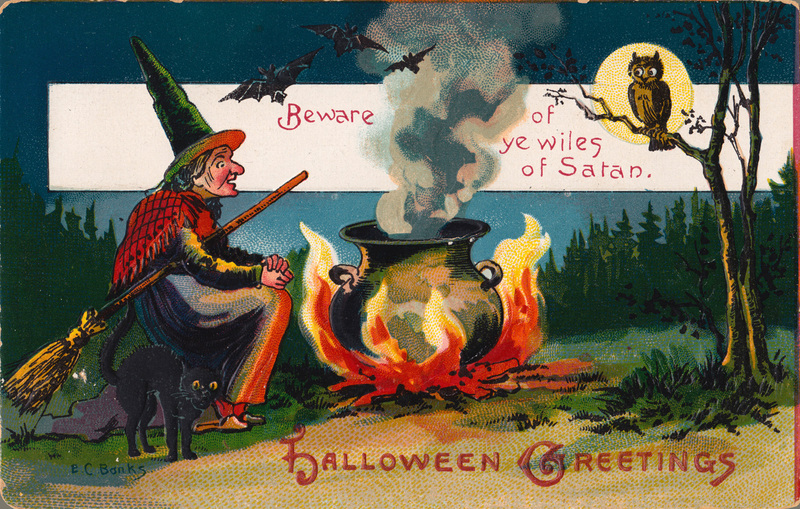 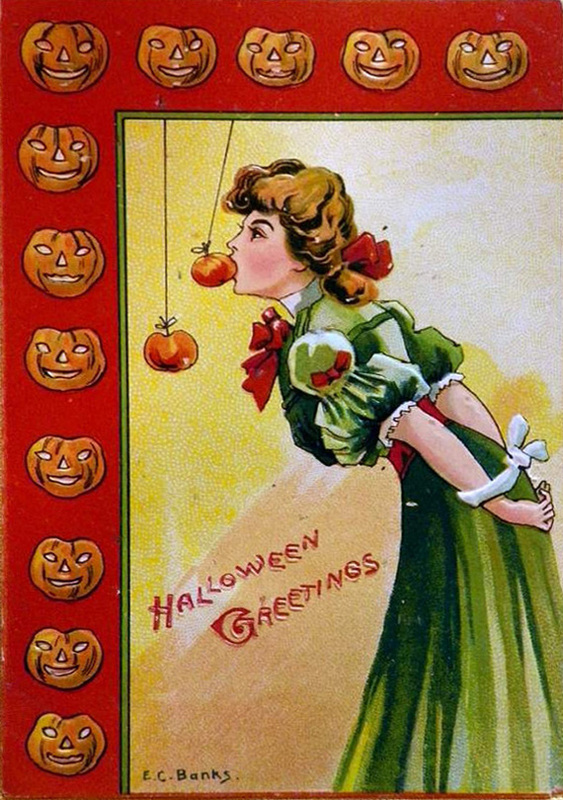 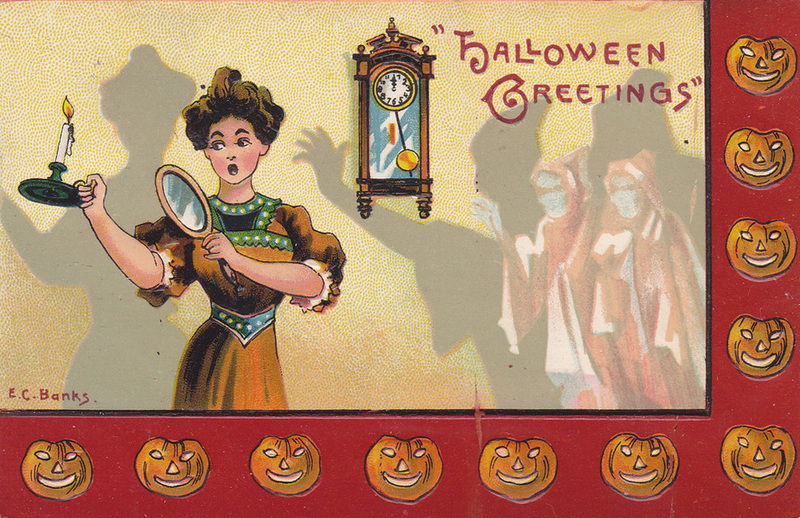 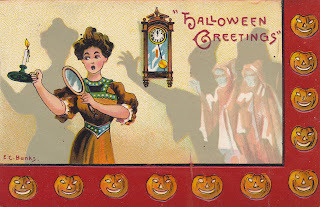 All this vintage Halloween greeting cards signed by one illustrator E.C.Banks and were “Made in Saxony”. Actual manufacture is unknown, but all greeting cards manufactured in Germany from the mid 19th century down to the 1920’s were under “Made in Saxony”. 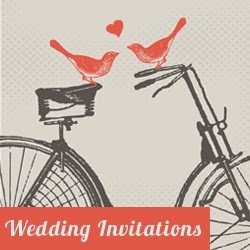 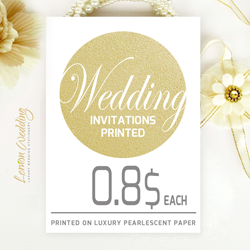 At that time Germany was best known place for early tinted and embossed postcards and greeting cards.